You know how it works. After every interview you think of a thousand things you wanted to say but got too polite or otherwise sidetracked. BoingBoing.net now has a podcast (“Gweek”) that you can pick up through iTunes or through their site. Yesterday Mark Frauenfelder’s interview with me and Jodi Wille, co-founder of Process Media, appeared. See here for the link.Â Now I know why my father–character actor Woodrow Parfrey–had difficulty watching television shows or movies he appeared in. At least we got to try out the Audio Technica USB-connected mike and discovered that it worked well. I purchased the mike a few months ago to conduct Feral House podcasts. We’ve already recorded several of them, and they should start to appear in mid-summer. Further, Mark connected Jodi, Rob Beschizza and me in a conference call through Skype, which I had never used before … It’s an inexpensive and good thing indeed. International calls for next to nothing. On Thursday we also heard from producer Brian Swibel about the television project based on Big Dead Place, and what do you know, things sound quite promising. The lovely folks at Electronic Frontier Foundation and the Winston and Strawn law firm, representing us (Process Media) in combating the trademarking issue with the terms “urban homestead” and “urban homesteading,” let us know that we won a procedural victory. That is a good sign indeed. The Port Townsend weather has been beautiful, the best time of all to be in the Pacific Northwest. 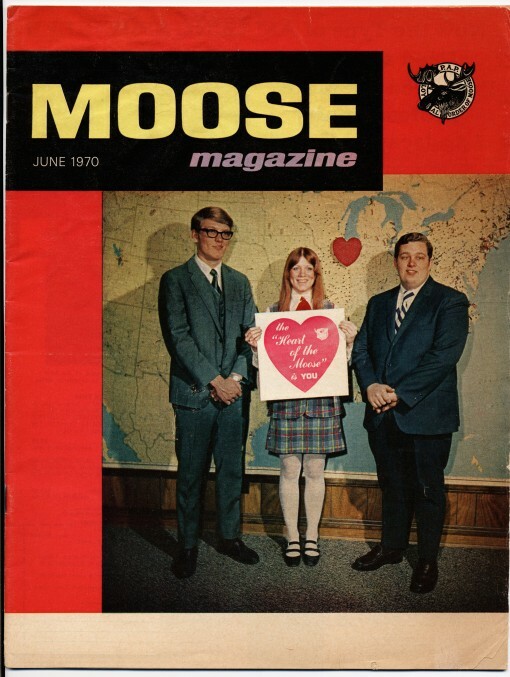 We were going to post a photo of the Juan de Fuca Strait, but could only find this image of dork children on the cover of Moose magazine from June 1970. Please enjoy.